Note: Make sure you open the game in chrome otherwise some features like voice recognition and web-assembly and WebRTC might not be supported by the browser and the game won't work. A party game for friends who like to say silly things. 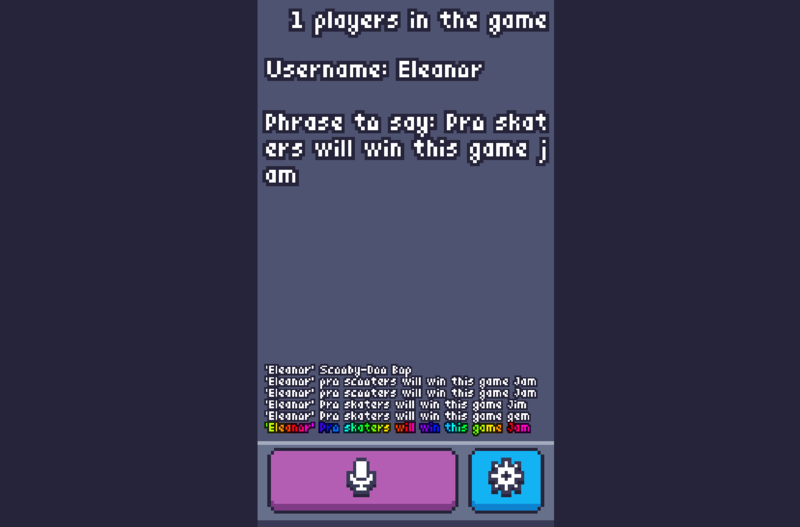 Join the game by telling us your name, and repeat after me! 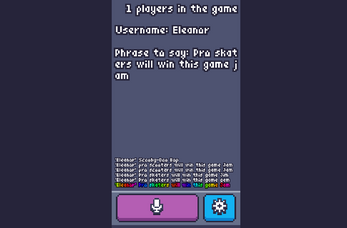 Win the game by saying the message the fastest without making any mistakes. When you win, you get to lead the game by choosing what your friends should say.